Working with a variety of collaborators such as film and theater directors, choreographers and visual artists, Philippe Boix-Vives explores a global diversity of influences in his music. Greatly inspired by the crossover between classical and non-classical genres, he describes his fusion style as “ElectroOrchestral.” He manipulates polyrhythms, repetitions, articulated themes, digital processing and soundscapes, creating dramaturgic and cinematic intensity. Ranging from deep orchestrations to hybrid ensembles and soaring electro to acoustic intimacy, Philippe’s music tells a story. Based in Stockholm, Sweden, where he has lived since 1995, his work includes scores for feature films, television series and documentaries as well as theater, dance and performance art. As a guitarist - playing jazz, rock, and improv – he also performs on stage and in the studio. With over 800 musical pieces, his work includes 12 solo albums, from early compositions such as his ambitious Concerto for electric guitar and orchestra (performed in 1994) to various electronic and orchestral works and guitar improvisations. Born in Savoie, France, deep in the French Alps, his passion for music began at an early age upon discovering Frank Zappa and Igor Stravinsky. This duality – between pop/rock and classical – inspired him to start composing music in an effort to build a bridge between the two. He left the mainstream school system at age of 15 to focus fulltime on music. Later, at the National Conservatory of Grenoble he studied composition, mastering techniques from the early renaissance to the 20th century, which would later find their way into his compositions. Philippe also finds inspiration in the music of composers like Ravel, Debussy, Satie, Milhaud and the atonalism of Schoenberg, Berg, Varese and Ligeti. Likewise, in modern musicians such as Miles Davis, King Krimson, Pink Floyd, as is the music of Nino Rota in Fellini’s films and Bernard Herman in Hitchcock’s. His passion for electronics and sound design began with analog tape and samplers back in the 80s and continues today with ever-evolving new technologies. His experimental approach moreover ties back to Steve Reich, Philippe Glass, Brian Eno, and also to his grandfather, the prolific art brut French/Spanish painter Anselme Boix-Vives (1899-1969). 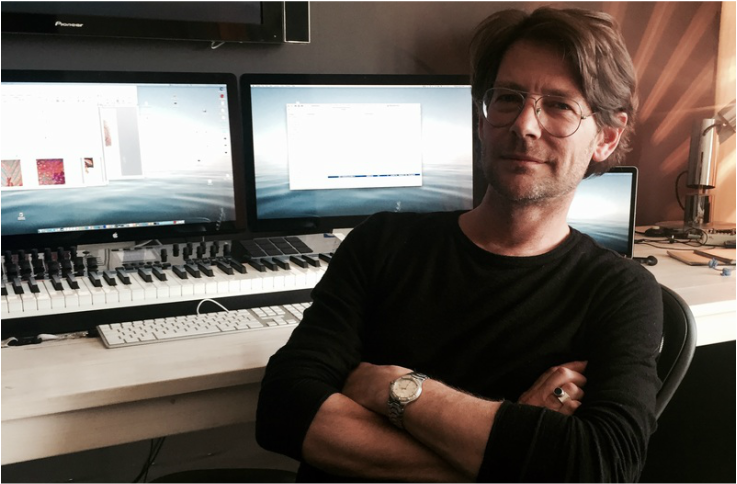 Recent projects include: Child 44 in collaboration with composer Jon Ekstrand (Feature film dir. by D. Espinosa, Prod. Scott Free, Studio: Lions Gate to be released April 2015); Women like you make men impotent (Documentary film, 2014), Nico – Sphinx of Ice (Theater, 2014), The Cursed / Den Fördömde 3 & 4 (TV film, 2014), Big Love (Documentary, 2013); The Beauty of Accident (Performance art, 2013).